Warranty Direct has named the most reliable used SUVs, based on the frequency and average cost of repair claims, as well as the age of the vehicle and the mileage. The result is an overall Reliability Index score – the lower the number the better the overall reliability. The tables below show the overall score, along with the average repair bill and the largest claim submitted to Warranty Direct. The top ten is dominated by Japanese manufacturers, with Volvo, Hyundai and Citroen the only non-Japanese brands to appear. The Citroen model to appear in the top ten is the C-Crosser, which uses Japanese underpinnings. 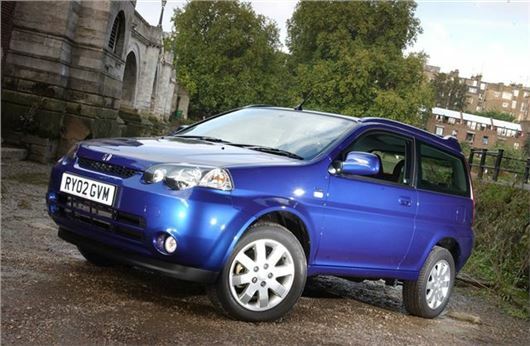 Top of the table is the Honda HR-V, which was produced from 1999 to 2006 and is set to return in 2015. This is followed by the venerable Suzuki Jimny and the Suzuki Grand Vitara. Those are followed by the Honda CR-V and Mitsubishi Shogun. At the other end of the spectrum, the worst models are almost exclusively German-made, with Mercedes-Benz GL-Class ranking as the least reliable model. According to warranty direct the average repair bill for one comes in at almost £600, with one claim being made for more than £16,000. Warranty Direct says 80 per cent of GLs break down each year. Where can we read the middle of the table ? Toyota that started it all?